An extravagantly hand carved two drawer mahogany based commode with brass ring pull handles and two generous storage drawers. 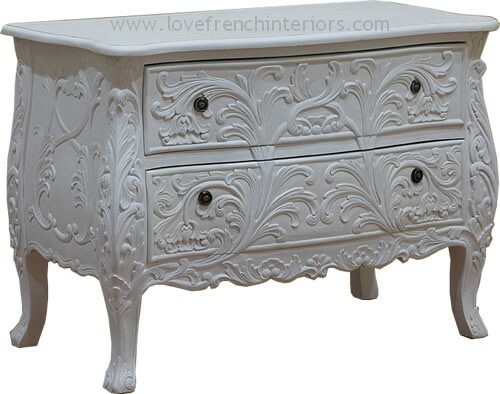 A practical storage chest that blends well with our other antique white furniture. This chest is usually only available to order - please contact us.